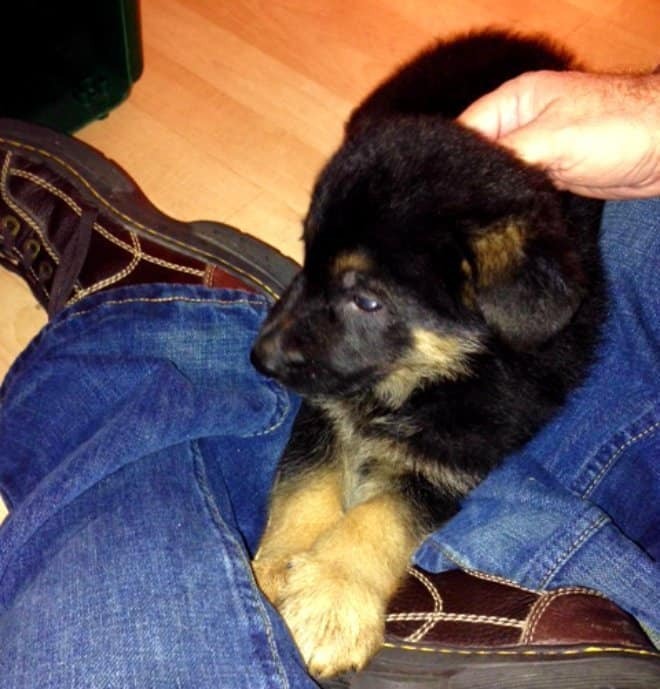 Max, our German Shepherd, became part of the family on Christmas Day 2013. He was six weeks old and it was love at first sight. 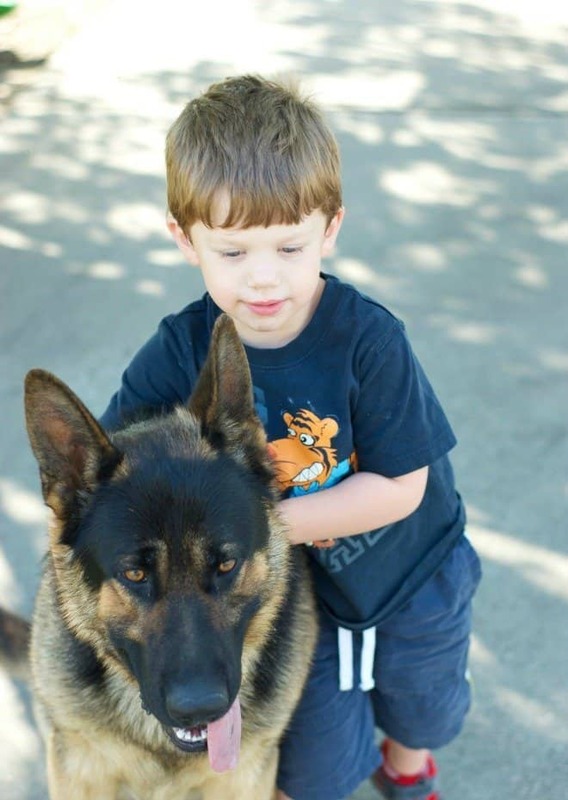 Our grandson, Logan, had begged for a dog for Christmas, but then added, “I want to keep him at your house.” Smart kid – all of the fun with none of the responsibility. Recently, my husband was outside playing basketball with the grandsons. He was taking a break (couldn’t keep up like I can, huh?) on the front porch when Logan fell on the concrete driveway and skinned his knees. He was crying and in too much pain to get up, so Max kept running over to my husband, barking like crazy and would run back to Logan. Finally, he laid down as close as he could get to Logan and tried to comfort him. He would not move until my husband picked Logan up and took him inside. I should skip right over the part where my husband said, “Lassie, did Timmy fall in the well?” (You won’t get it unless you’ve seen Lassie. Timmy seemed to always fall in the well.) Max does deserve an academy award! He’s that good! When we invited the family over for our first cookout of the season a few days ago, I wanted to have a special treat for Max to enjoy. 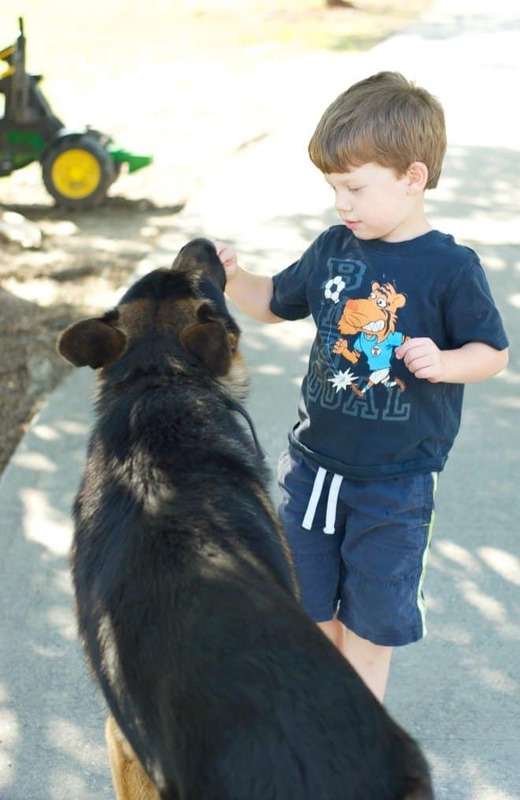 The youngest grandchild’s favorite activity is giving Max a snack. We have to keep our eyes on him to make sure he’s not sharing his ice cream with Max. 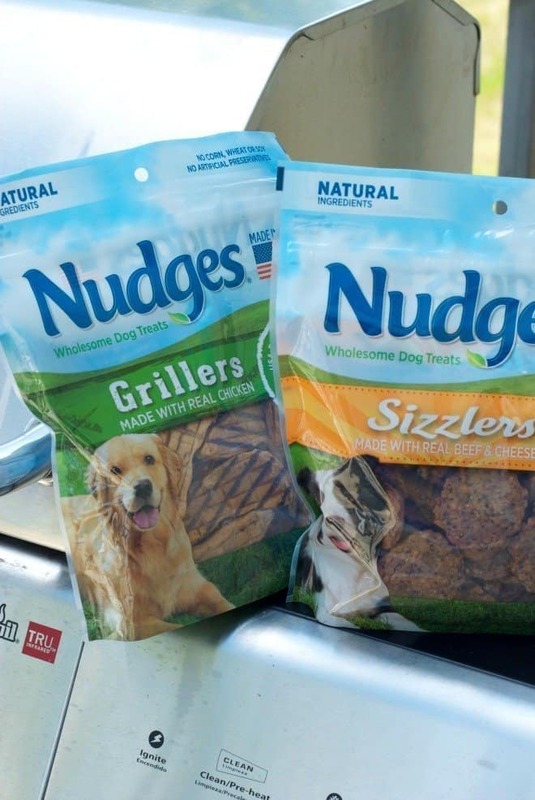 While I was shopping for the cookout at Walmart, my husband wandered over to the dog treat area and spotted a new product, Nudges® Grillers and Sizzlers. After reading the ingredients, he knew he had found the perfect treat for Max. Nudges® Grillers and Sizzlers come in a variety of flavors and sizes. Max’s favorite is the Grillers Chicken and the Sizzlers Beef & Cheese. 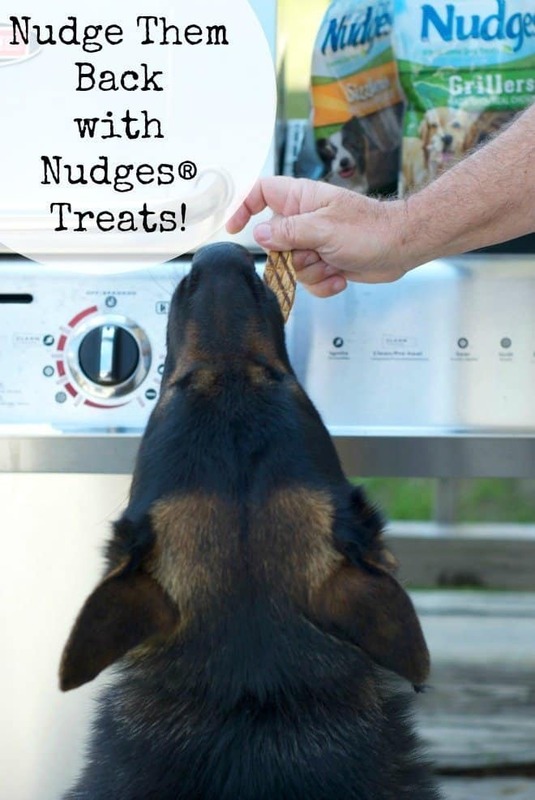 I want the best for Max, so I’m glad that Nudges® are high quality, real food-inspired treats and that meat is the #1 ingredient. They’re made in the good ole’ USA with only USA-sourced protein. Also, there are no artificial flavors or fillers. They even have grill marks on them – perfect for a cookout! The best part? Max is wild about his new treats! Max has brought such joy into our lives! And when I’m outside working in my flower gardens, he’s right beside me, licking my heels (hopefully he’ll grow out of that soon) and helping me dig (in all the wrong places). And when it’s time for a treat, he deserves the very best. Oh, yeah, Max wants you to check out Nudges® new Jerky Cuts (36 oz.) value size the next time you’re at Walmart. I’m sure my dog would love these! He is all about getting treats as often as he can. April @ Everyday Fitness and Nutrition recently posted…My First Blog Conference!! OMG, Max is so cute! I love that baby picture of him. Those treats look nice, too. I’ll have to try them out with my little guy. Mary Hill recently posted…Poise Wants You To #RecycleYourPeriodPad! What a cute dog! My little Pippa loves these nudges treats! They are almost as big as her, but she manages to scarf them down! Aww, what a sweet pup! I am always on the hunt for treats for our dog since she has some allergies. Thanks for sharing. How sweet cutie dog, I think my kids would love your cute dog when the’re see those pictures. By the way thank you for sharing nudges treat! You have a great dog! Isn’t it amazing how they can show their concern?! Our dog does the same thing. We’re always looking for great treats to give our fur babies and it’s great to know that this one has meat as the first ingredient. Nudges look really good, I can actually see that they are made with real meat! My dog would love these, she is a massive glutton with treats. Max sure looks thrilled with his Nudge treats! I know my cats go crazy when I bring out their treat packs. They get so excited! This is the first time I’ve heard about Nudges but I think it’s sweet of you to get Max a super treat. Max is so lucky that he stays with you. I kinda miss the times when we used to have a pet dog at home, she makes my Mom & brother very happy and they’d always give her toys and well, special food ( treats ) and she was spoiled! 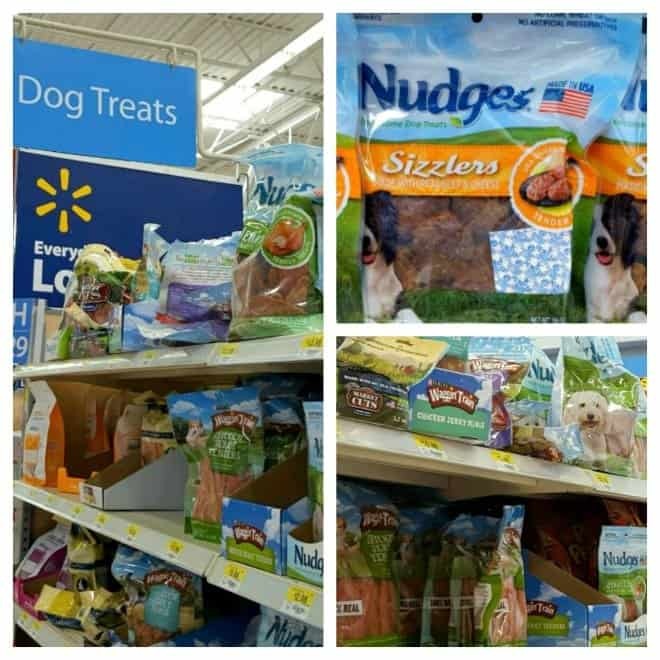 Those are such great snacks to show your dog some love. They seem really high quality compared to a lot of other brands. I haven’t seen these before! I will have to check around to see if I can get them here. My dogs would pretty much love these and probably fight over them! I’m curious if my little pup would like these. She is super picky! I love seeing that companies are coming out with healthier food for pets. Such a beautiful dog you have. Those treats look great! My dog is tiny so she can’t eat much but we’re always looking for new treats to try out. And your dog is gorgeous! Thanks for sharing this, I have never tried this kind of treat for my dogs but will surely look for it in the store, I think they will like it. Max is a beautiful dog. He looks quite happy with these treats. Thanks for the review. These look like great dog treats. I will have to share this with my sister. She has two little dogs that love treats. Awww, what a wonderful doggie! Max is beautiful! I love that your grandson wanted to keep him at your house, lol! I don’t have pets but we are considering it! Thanks for sharing a good brand, will definitely check it out when we get a dog. Shaney Vijendranath recently posted…Pink or Blue? Aw, what a pretty guy! We’re still mourning the loss of our boston terrier but when the time comes for us to open our home up to another doggie, we’ll have to remember these treats! I got these last week and my Sophie girl LOVES them!! I’m glad your dog loves them too!! What a great looking dog! I do not have dogs, but my daughter does and they love their treats. I think the grilled treats would be popular with Ringo and Elvis. My dog would love these and Max is gorgeous. He is just too cute, I’m always looking for new snacks to give my dog. Will have to check this out. We don’t have dogs, but my in-laws have, and they are spoiled with treats like that. Such special treats for such special doggies. 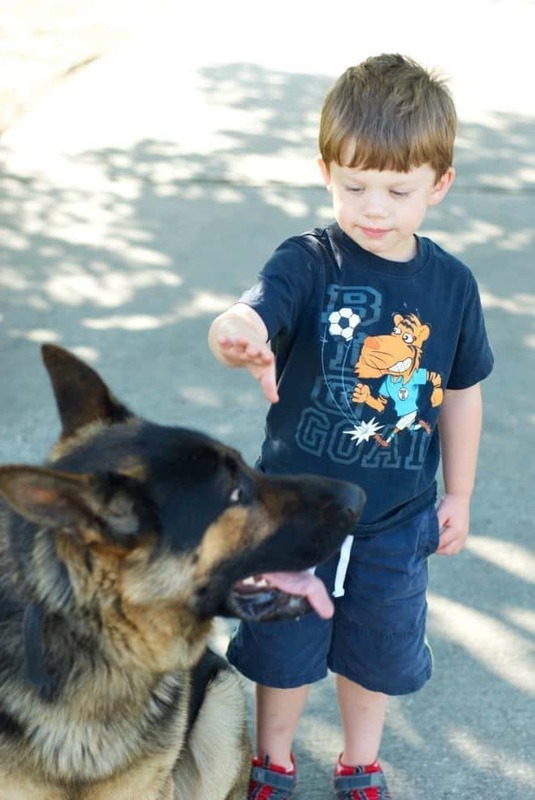 My son is desperate for a German Shepherd. Such a gorgeous dog. We are getting a Samoyed puppy this fall and he will be spoiled with yummy treats. What a great dog treat and it’s made from real chicken. I wish we have those here in our place, our cute dog, Amber would love it. I was impressed that the first ingredient on the packaging is meat. Max really loves them! You are right, this is the perfect treat for Max or for any dog. I love that it is all natural too. I bet he is one happy camper!! Max has grown up to be a very beautiful fur baby. How sweet of him to be protective like that! I’m confident our dogs would love Nudges! Thanks for sharing. Max is one lucky dog! These sound like great dog treats! My sister has a dog, so I may check these out for her dog!